"So one day, I said to myself…"
You are currently browsing the tag archive for the ‘organizing’ tag. Complete all backed-up filing that has accumulated since we sold our house (before we moved here…in November). Purge all office “stuff” and divide into categories of “trash”, “sell”, “keep”, and “storage”. Notify Hubby when he is to move all guest room furniture into now-empty office/man-cave. Arrange and organize new guest room. 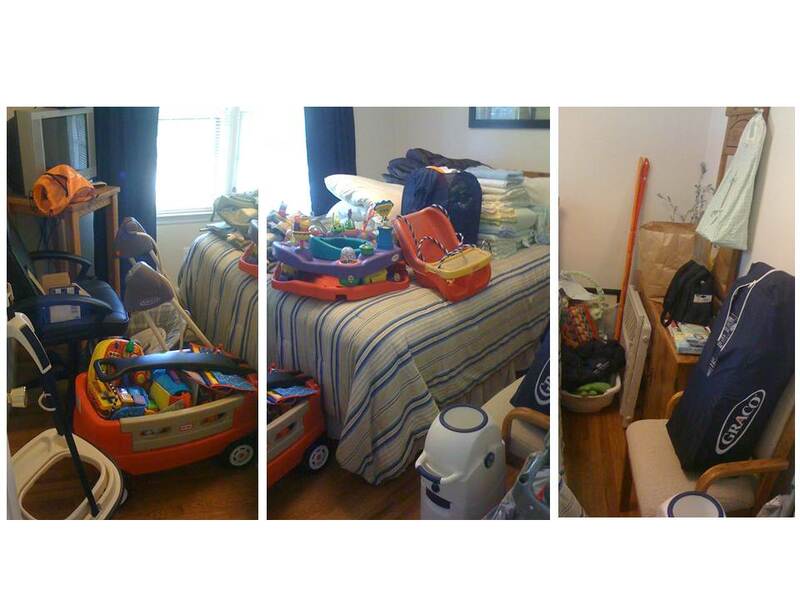 Clean now-empty old guest room and set up/organize baby “stuff”. 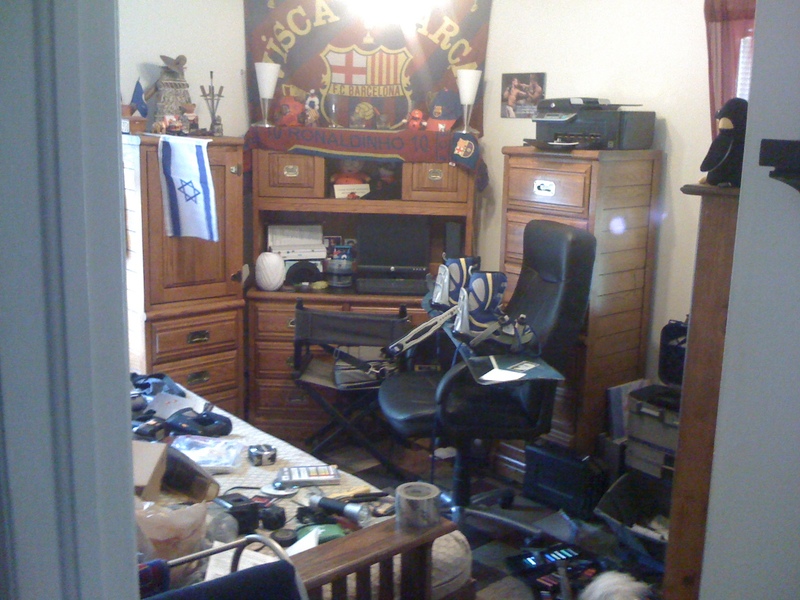 Man Cave/Office/Extra Guest Room to be emptied. Guest Room, full of baby "stuff"
Today is my first day being a true stay-at-home housewife. Even though I left my last job in November to move to another state, I am only just beginning to count my days of housewifing today because this is my first day home alone. <Feel free to insert the Macaulay Culkin scream here…you know you want to> My husband started his new job today, which leaves me in the house with our dogs, what’s left of the moving boxes, and the laundry. It has been an interesting day – this is the first time since I-can’t-remember-when that I’ve been without a job or school schedule to keep me on task. Not having an automatic structure in place, I spent the better part of my morning nursing a cup of coffee and browsing the internet. I started with the essentials, of course (Facebook, Twitter, headlines of msn.com), then moved on to re-formatting my blog, and wrapped up with glancing through Google’s top results for event planners in my new city. After a look at the clock (the entire morning had escaped me), I tackled some boxes; unfortunately, it was all the little bathroom things that need organizing, so there was a lot of work with little visible progress. Very frustrating. Thankfully, I have a very understanding husband, and after I vented my own disappointment of my lack of productivity, he simply said “It’s ok.” 🙂 I love him!